"We tripled our typical number of leads and quadrupled our typical sales numbers after implementing the program. I love the simplicity of it and how it well works." Ready to grow your business? Looking for more leads and more sales? How would you like to increase your new business growth and organize your plan on one page? That’s what the Business Growth Accelerator does for you. Simply, enter your contact information for instant access and a free video series on how it works. RevStream Marketing’s Business Growth Strategists create cutting-edge marketing campaigns that on average triple business growth. 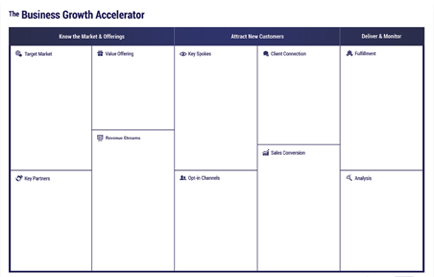 It all starts with the Business Growth Accelerator. Enter your contact information above to download it now for free and you’ll also receive a free video series that explains how it has worked for businesses like yours and how it can work for you as well. Also, a special thanks to those who have shared this page with others to help them grow as well!